Initial indications are that the man, whose identity has not been released, was killed as a railcar reversed at the Edmundston yard at about 8:30 a.m., says Eric Collard of the Transportation and Safety Board of Canada. A CN employee died in a workplace accident Tuesday morning at a northwestern New Brunswick rail yard. 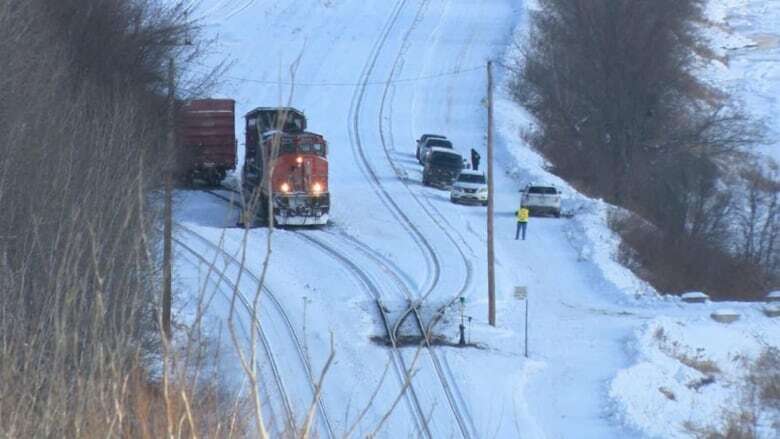 Initial indications are that the 33-year-old man, whose identity has not been released, was killed as a railcar reversed at the Edmundston yard at about 8:30 a.m., said Eric Collard of the Transportation and Safety Board of Canada. The worker was a trainee, said Christopher Monette, director of public affairs with Teamsters Canada, the national trade union that represents CN rail workers. He was a father of two. "I can only express our deepest, most sincere condolences to the victim's family and his co-workers," he said. The worker belonged to the Teamsters Canada Rail Conference. Union representatives were on the scene gathering evidence. "Our brother was a proud father of two who loved his job and talked about it all the time," union president Francois Laporte said in a statement. "We are shocked and saddened by his passing." The death marks the rail industry's fifth workplace fatality in 13 months, according to the union. Teamsters Canada said it will sit down with CN and federal officials to "address the issue more broadly" once the investigation is complete. Edmundston police said CN police are handling the investigation. CN spokesperson Jonathan Abecassis offered a brief statement Tuesday afternoon. "This morning, a fatal incident occurred on CN property involving a CN employee in Edmundston," he said. "We want to offer our sincere condolences to the employee's family and community in these tragic times." Collard said safety board investigators hoped to be on the scene soon. He could not provide the gender or age of the victim and said the board was still trying to confirm what happened. It was the second serious railway injury in the region in two weeks. A Via Rail employee was hit by a passenger train as it slowed at the Truro, N.S., train station on Nov. 23. Two Truro police officers provided life-saving first aid to the victim.